Last weekend, the Holiday Inn near the airport in Des Moines smelled like Tiger Balm and sweat. Men and women of all ages marched with purpose back and forth through the halls in short colorful boxing shorts, capes and a Mongkol. 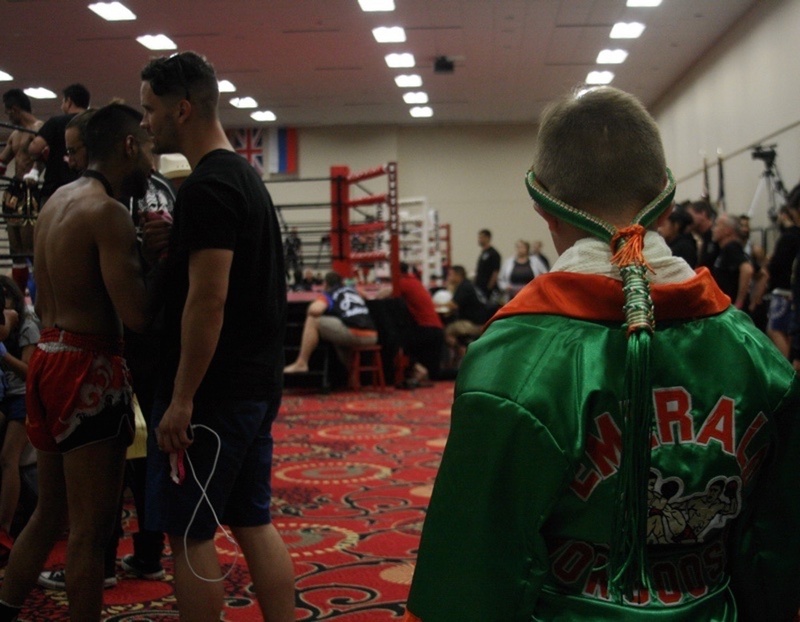 The event center was an organized cacophony of hoarse cheers and instructions, grunts and slaps, and the constant drone of a man announcing ring assignments, results, and admonishing people to "not video tape the fights." 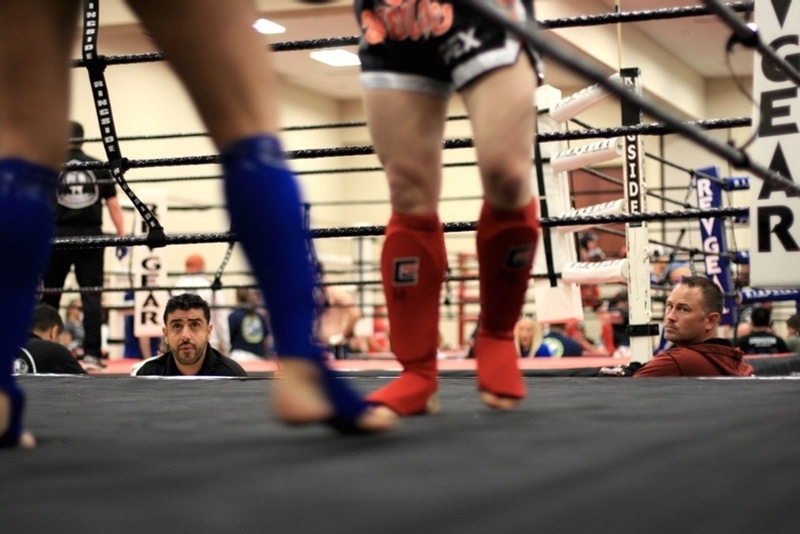 For North Americans who practice the Science of Eight Limbs, there is no better place to get ring time than at the annual Thai Boxing Association Muay Thai tournament held each summer in Des Moines, Iowa. 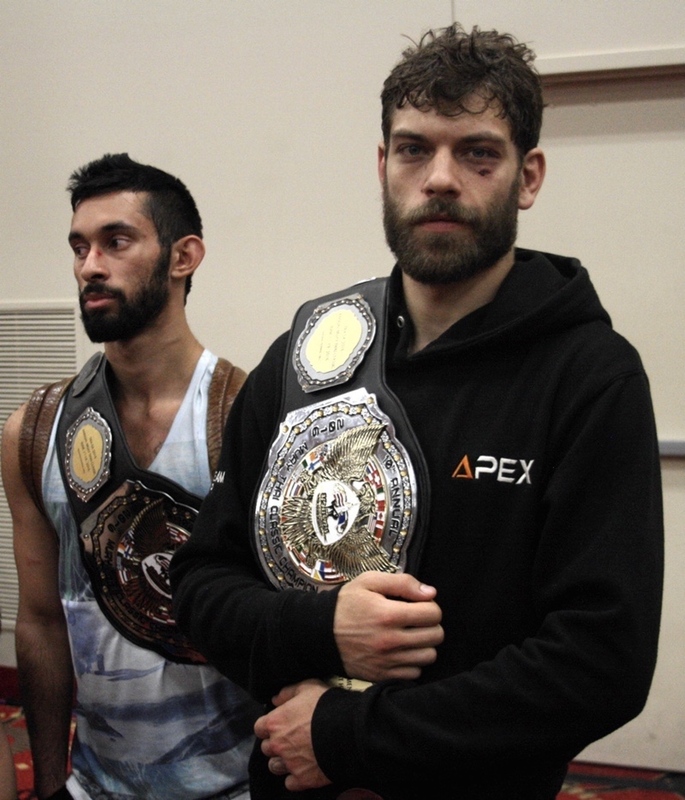 The past weekend, more than 400 fighters crowded into the Holiday Inn near the Des Moines airport and competed over three days for 106 belts across every conceivable weight class. Six year old boys from Arizona; twelve year old girls from Stockton; adults from Missouri, Michigan, New York, and Kentucky; old men still swinging hard in their 40s and 50s. The TBA has become a milestone of sorts for Nak Muay who have trained for a while and want to finally test their skills in the ring. It's where most people have their first encounter with hard left hooks to the head, repeated leg kicks, and the exhausting ordeal of three rounds against a stranger who wants to hurt them. This is also where the addiction formed after hearing the sound of a shin against a Thai pad for the first time is solidified into something like religion. 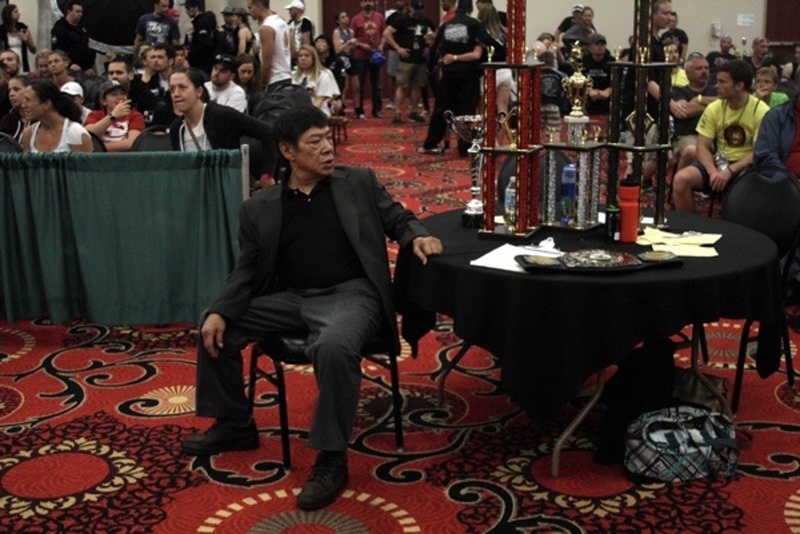 The TBA tournament started ten years ago after a brief dinner conversation between Ajarn Chai Sirisute, the man who brought Muay Thai to America, and Pete Peterson, a former Marine turned martial artist who had become one of Ajarn Chai's best students. 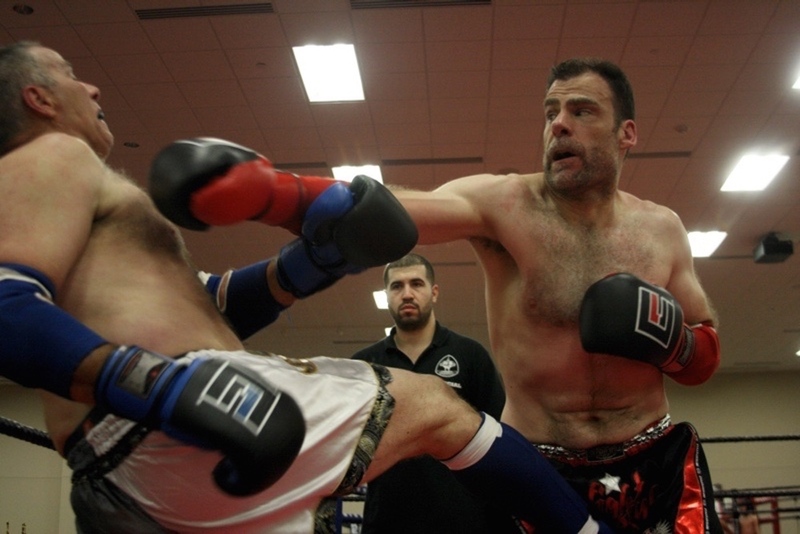 "We need a tournament for just Muay Thai," Pete told Ajarn Chai. 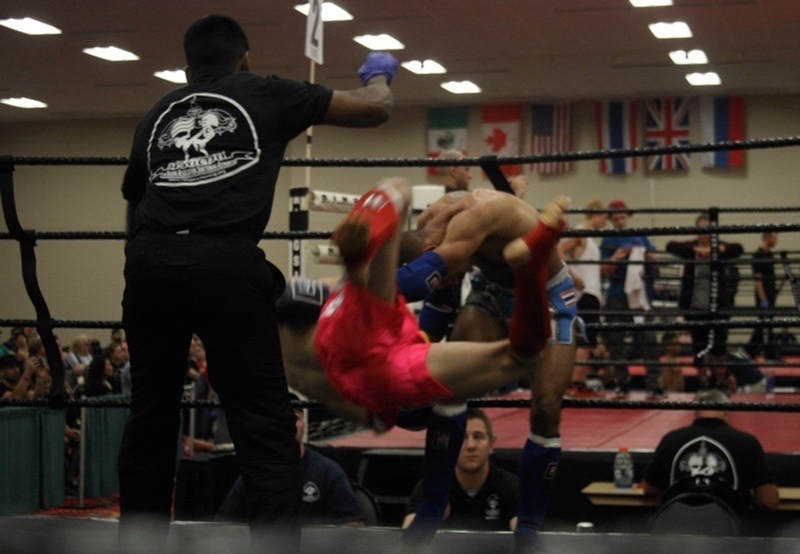 "Where it's all about leg kicks, elbows and knees. Nothing else." "You do it, sir," said Chai. Pete and his wife Pam got to it. The first tournament, held in 2007, was cobbled together quickly ("Terrible," said Chai, shaking his head), but the seed was planted. The tournament has grown each year, from 122 fighters in 2008 to 323 in 2012 and 460 in 2016. Nak Muay finally had their own proving grounds, away from the mixed rules events which took away either elbows or leg kicks or both, and into a world where all eight limbs are weaponized. The tournament is divided into Novice, Class B, and Class A; adults, seniors and juniors. 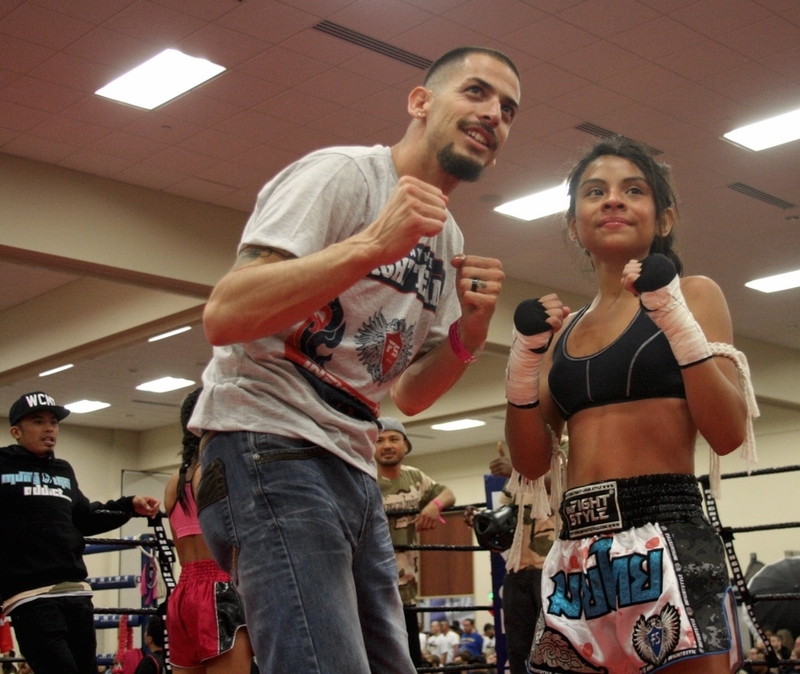 Having all sorts of skill sets in one spot allows for everybody to learn really quickly what is and what is not Muay Thai. It's common for fighters to resort to wild swings and bull rushes when the going gets tough, to tap into their animal aggression and try and overwhelm their opponent. That can work, especially if the opponent isn't able to slip a punch, sidestep and deliver a cross, teep the bull away, or deliver a solid intercepting knee or elbow. But as one moves up the ranks into Class B and A, technique starts to defeat aggression on a consistent basis. 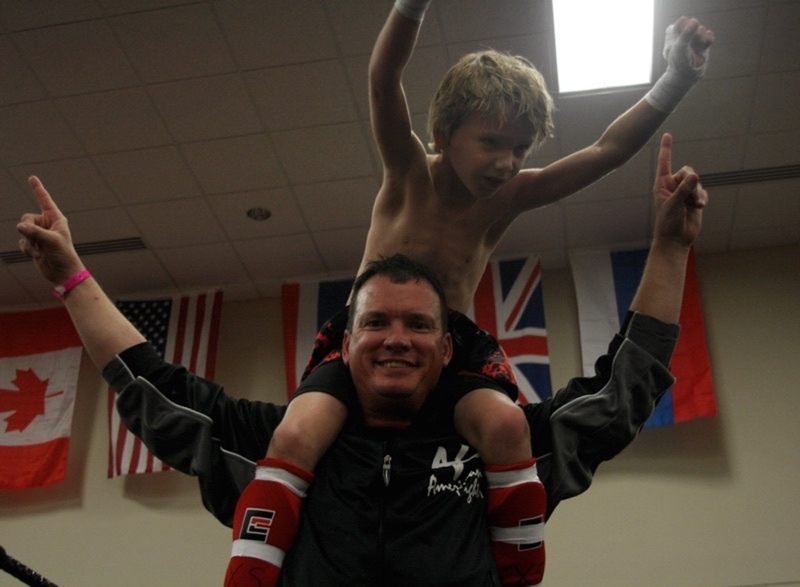 "It's really about dominance," said Nat McIntyre, a coach for the MMA Academy out of Minnesota. "Dominance and not aggression. And you only achieve dominance through Muay Thai, not swinging." 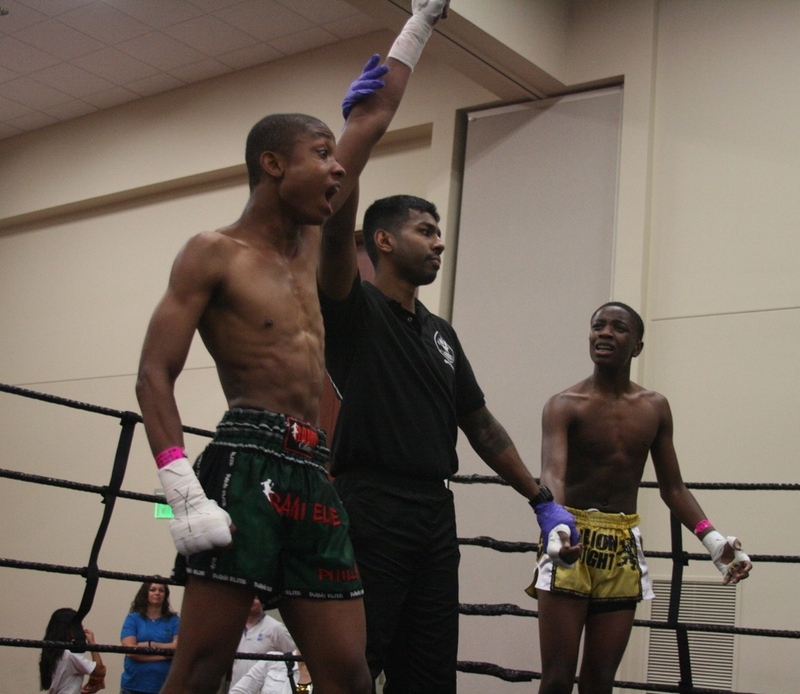 A good example of the power of technique over aggression is the work of the Academy's Nick "Icy" Robinson, the Class A Bantamweight Champion and Fighter of the Tournament. 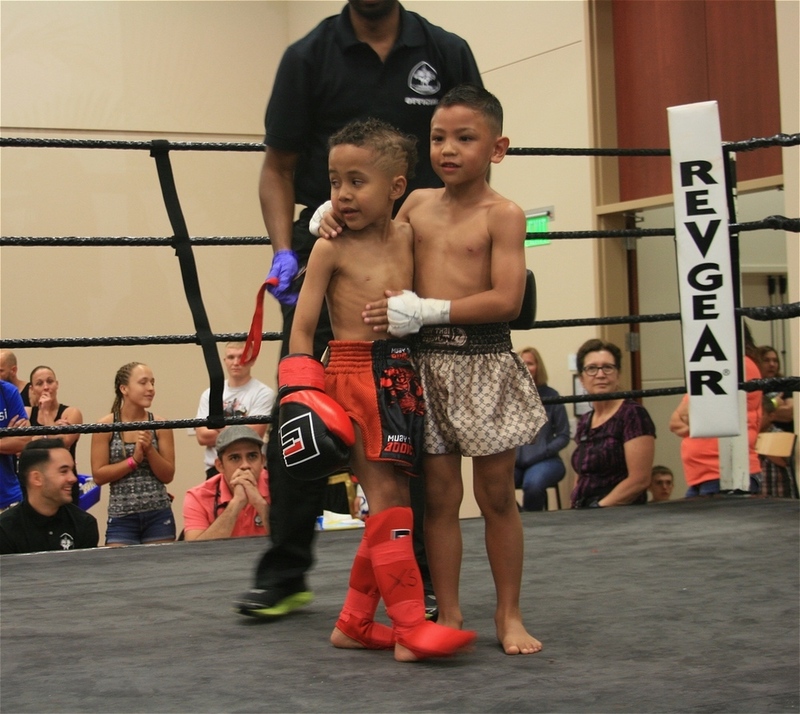 Nick's structure is very solid and he is able to shell up, with his hands up, chest in, and elbows tight, while his opponents pound away. When they finish, he opens up with knees and kicks, only to shell back up and let them pound away in vain. A good Nak Muay is like a Greek Phalanx fighting the horde, implacable until the opponent panics and breaks, and then it's all over. There are other schools of thought on the matter. Traditional Muay Thai tends to look like a tank marching forward, whereas Dutch is more fluid, and includes different hook and kick combos as well as stance switching. But for Ajarn Chai, Nick's ice cold phalanx style was what a brought a smile to his face. "That a lot of what this tournament is about," said Pete Peterson. "Really spreading this art and getting more and more gyms involved. 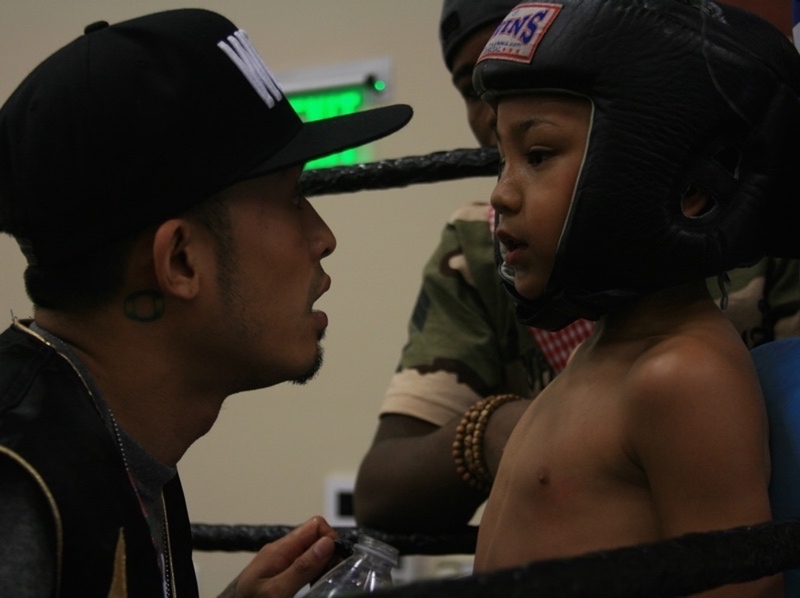 Developing the talent and giving fighters a place to compete and learn and improve." "But more than anything," added Chai. "Is discipline, sir." "That's absolutely true," said Peterson. 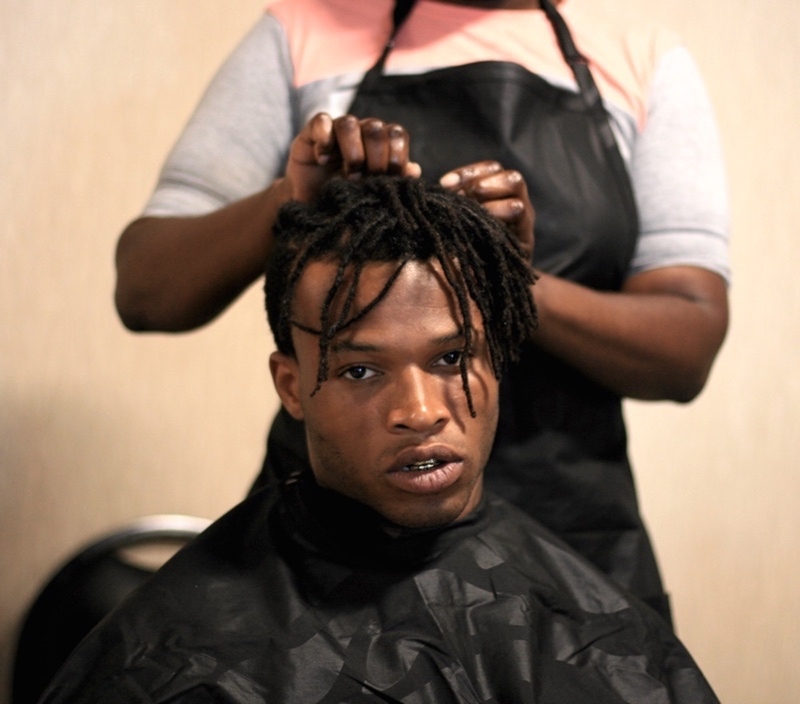 "This is the type of art that can change lives, the discipline you learn here translates into all aspects of a person's life, and that's what I've seen happen time and time again. And that's really what this tournament is all about."